Available by phone or text 365 days a year. How does one hire a Private Detective? Quite simply, just call my office via telephone and discuss your issues and our rates for the services you request and sign a one page, standard hold harmless/fee agreement. Additionally, any individual not representing a corporation, shall be required to render payment by retainer, prior to the inception of the assignment, in the amount estimated for the initial assignment. No assignments/cases shall be accepted over the internet since it is neither a secure nor a safe method of conducting business in a profession as litigious and discreet as that of a Private Detective Agency. There is a large part of the population who has a misconception as to what precisely a Private Detective can do for the average client. Basically, we gather and provide information/evidence to either level the playing field, provide concrete answers to inquiries and provide “Peace of Mind”. In fact, it is not uncommon for us to explain to Lawyers how to best use the evidence we may discover. Lawyers give legal advice, Private Detectives give suggestions from experience on how to uncover evidence which can help your lawyer or improve your personal life/safety. Thinking of Using the Internet? 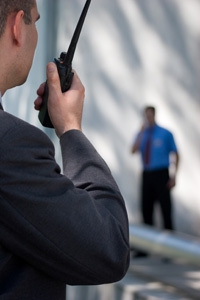 Any person hiring any entity to conduct an investigation or security assignment through the means of an internet business relationship alone, has likely placed themselves at risk for violating Federal, State and Local laws if that entity is not properly licensed in the State where the investigation began, which usually results in unnecessary law suits, etc. Call me for “Peace of Mind” and a free telephone consultation, from a licensed, insured and bonded Pennsylvania Veteran Private Detective.